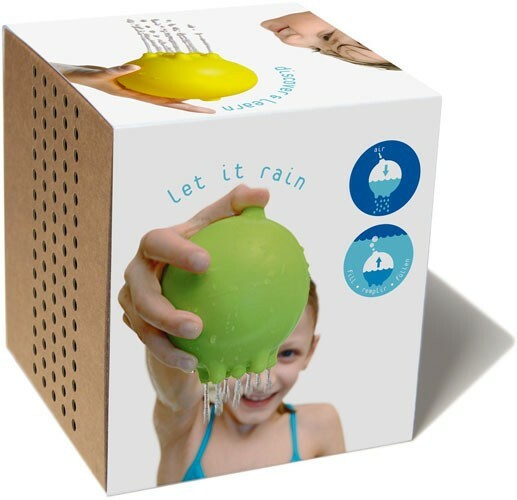 Whether in the bath or in the pool, Moluk's Plui rain ball stimulates the senses while learning basic physical principles. 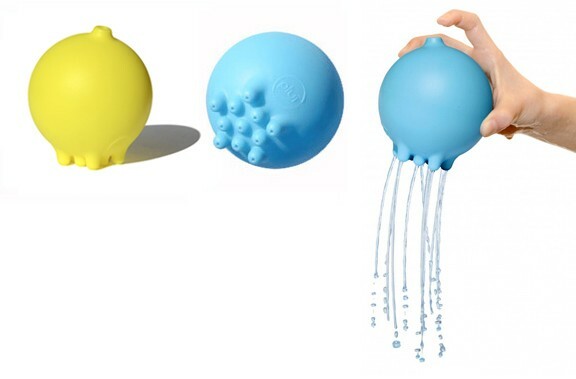 Immerse it in water to fill it up, then lift your finger from the nozzle to let the water stream out. The key is how you control the flow of water simply by sealing or opening the top nozzle with the tip of your finger. 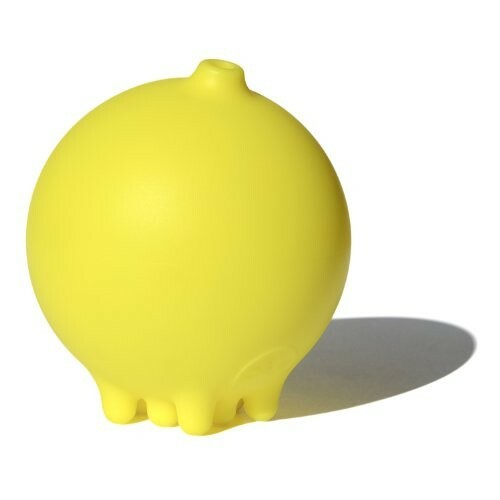 Available in blue, yellow, and green.